FKvesf refrigerator with the power of professional cooling in a compact format, suitable for both under-worktop and free-standing installation. The integrated fan ensures high performance, quickly chilling products and maintaining a constant temperature throughout the interior. integrated fan ensures high performance, quickly chilling products and maintaining a constant temperature throughout the interior. The FKUv 1660 and FKUv 1662 have stainless steel exteriors. The models can be sited beneath a worktop. In this case, a vent grill with cross-section of min. 200 cm² is required in the work top for ventilation at the rear of the appliance. 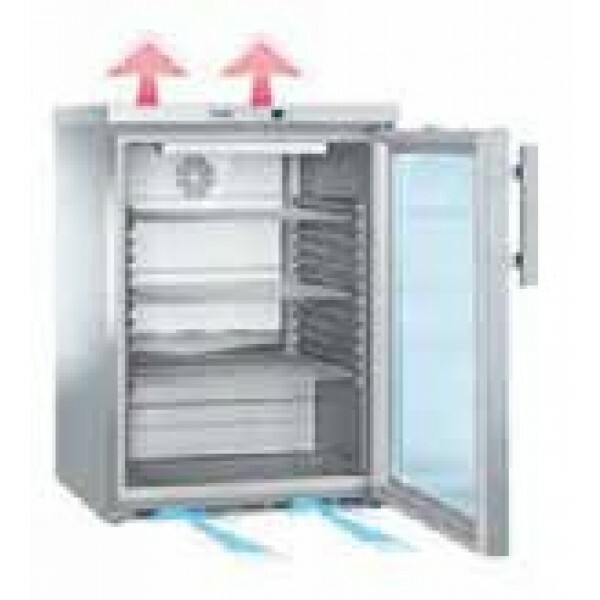 In order to ensure adequate air circulation for the refrigeration system, the aperture should be at least 30 mm higher than the appliance. The FK models have increased insulation, self-closing doors and fan cut-out switches for valuable energy saving. 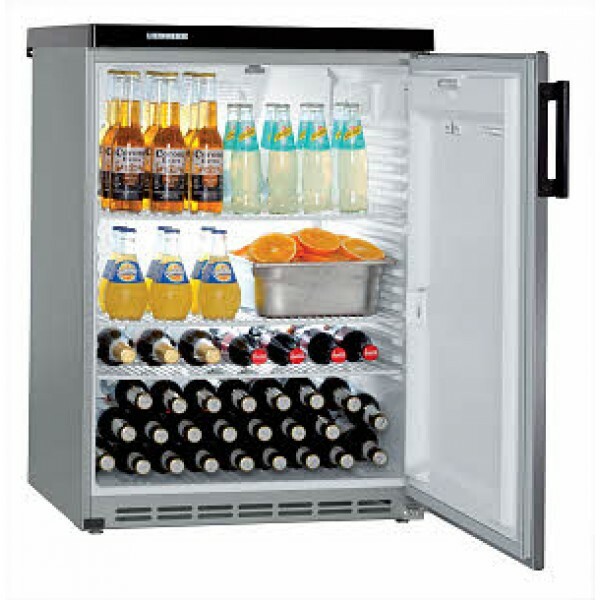 In addition, shelves are adjustable at 90° door opening and offer a massive 50 kg load capacity. The powerful forced-air system ensures rapid pull-down and uniform temperature distribution. These models have auto-defrost.